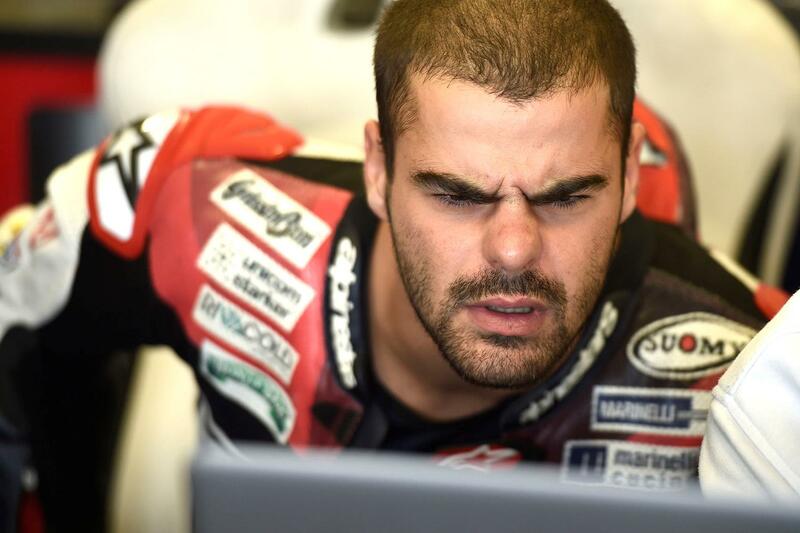 Former Moto2 rider Romano Fenati has been summoned to the headquarters of the Federation Internationale de Motocyclisme to explain his actions in last week’s San Marino Grand Prix. The Italian rider grabbed the front brake lever of rival Stefano Manzi on the Misano circuit’s start-finish straight after Manzi ran him off the track. Handed a two-race ban and sacked by both his current Marinelli Snipers team and the Forward MV Agusta squad he was due to ride for next season, he’s also now been summoned to FIM headquarters to answer for his offences. Speaking in a short statement, the Geneva-based organisation says he needs to explain his actions when he sits down before an independent judge on Tuesday. In view of the egregious and shocking nature of Mr Fenati’s act, the FIM took the time needed to reflect on the incident, which has prompted strong emotions throughout the world of motorcycling and beyond. The FIM has decided to summon the rider to FIM HQ in Switzerland in order to discuss the situation with him before taking any action the FIM may consider appropriate. In the meantime, it’s been announced that he’ll be replaced for the remainder of the season by Andorran rider Xavi Cardelus. A serial wildcard racer at this season’s European races, he’ll step into Fenati’s team for the rest of the season. It’s also been announced by the Marinelli Snipers squad that Kazakh rider Makar Yurchencko will join Tony Arbolino on their Moto3 machines for 2019. Starting to make progress as John McPhee’s teammate at the CIP Moto squad in the early parts of the season, he was dropped by the team after a dispute over funding.